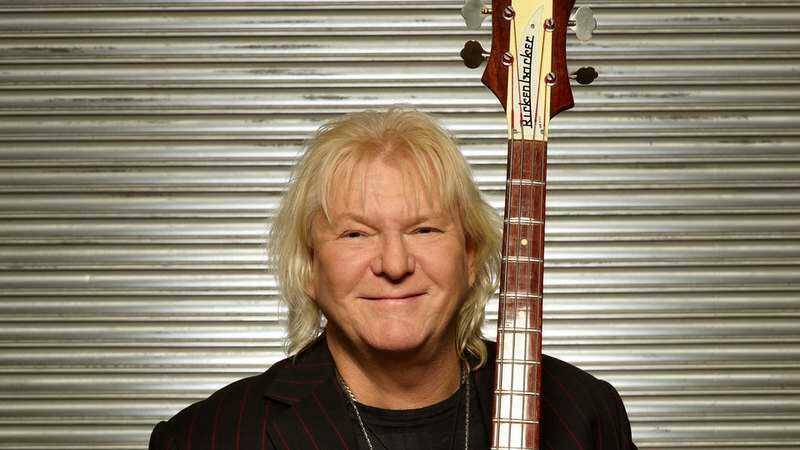 Bassist Chris Squire, a founding member of Yes and the only member of the band to have played on all 21 of their studio albums, died yesterday at the age of 67 from acute erythroid leukemia, just over a month after having been first diagnosed with the disease. Born on March 4, 1948 in London, England, Squire may have been predominantly defined by his work with Yes, which began with their self-titled debut album in 1969 and continued through their most recent studio release, 2014’s Heaven & Earth, but for fans of British psychedelia, he was also known for the time he spent as a member of The Syn, alongside another future Yes member, guitarist Peter Banks. Although The Syn broke up in 1967, with Squire and Banks moving on to the equally psychedelic-sounding Mabel Greer’s Toyshop, the members of The Syn stayed in touch over the decades, eventually reforming in 2004 and recording the first proper studio album of their career, 2005’s Syndestrucible. As for the band known as Mabel Greer’s Toyshop, their membership soon shifted, as did their name, and on August 4, 1968, the new lineup - Squire, Banks,vocalist Jon Anderson, drummer Bill Bruford, and organist/pianist Tony Kaye - made their live debut under their new name: Yes. It took a bit of time for Yes to evolve into the prog-rock giants that they ultimately became during the course of the 1970s, but Squire was there from the start, when they favored covers of The Beatles and Buffalo Springfield as often as original compositions. After the addition of Steve Howe to their ranks, however, the band delivered 1971’s The Yes Album, a classic effort which arguably set the musical tone for the remainder of their career. The fish motif would recur a few years later, when Squire released his debut solo album, 1975’s Fish Out of Water. Although the album was not a massive commercial success, it did hit #69 on the Billboard Top 200 Albums chart and #25 on the UK Albums chart, with the record making a further splash via Squire’s appearance on the BBC music program, The Old Grey Whistle Test. Despite the advent of punk, Yes continued fighting the prog-rock fight throughout the remainder of the ’70s. In a 2012 interview with the A.V. Club, Squire reflected on how little the musical turmoil of the era affected him and his bandmates. After Anderson’s departure from Yes in 1980, the band soldiered onward with Geoff Downes and Trevor Horn of The Buggles joining up for the Drama album, but in March 1981 Yes was formally dissolved, with Squire and the band’s drummer, Alan White, briefly collaborating with Jimmy Page on a project called XYZ, which was short for “ex-Yes and Zeppelin.” Although the group never got beyond recording a series of highly-bootlegged demos, Squire and White released a single under their own names: “Run with the Fox,” a holiday-oriented tune which arrived in late 1981. The following year, Squire and White made the acquaintance of Trevor Rabin, formerly of the band Rabbitt, and after a brief stint under the name Cinema, the trio added Jon Anderson and Tony Kaye to their ranks, and a new lineup of Yes was born. With another former member handling production (Trevor Horn), the band recorded and released 90125, an album which brought Yes into the ‘80s in a big way. After the success of 90125, Yes never really went away again (although they did have to endure some significant squabbling within their ranks during the late 1980s and early 1990s while the whole Anderson Bruford Wakeman Howe / Union thing ran its course), and while Squire occasionally stepped away between albums and tours to do side projects, like Squackett, his 2012 collaboration with former Genesis guitarist Steve Hackett, he remained a Yes stalwart throughout it all. Indeed, the ball seems set to continue rolling without Squire, with the band scheduled to kick off a tour with Toto later this summer. This may seem heartless on the surface, but in Yes’s defense, Squire had announced his official hiatus from the band last month, and it isn’t as though the lineup hasn’t survived any number of changes over the course of the last 47 years. Given Squire’s ubiquitous presence up to this point, it’s impossible to imagine that that his absence won’t be felt in the band’s performances, but with his compositions still featuring in each and every set list , there’s no doubt that his musical legacy in Yes will continue onward through the night and beyond.